Taula rodona Corrupció. Participants: Ernesto Ekaizer, Misha Glenny, Carles Quílez i Kostas Vaxevanis. Moderador: José Martí Gómez. Gazmend Kapllani discusses A Short Border Handbook. ; Vesna Maric discusses Bluebird: A Memoir. ; Misha Glenny discusses McMafia: Crime without Frontiers. Misha Glenny reads from McMafia. From human trafficking in Bulgaria to elaborate Internet frauds in Nigeria, how has globalization and new technology influenced organized crime? Misha Glenny, Former Central Europe Correspondent, BBC World Service; Author, The Fall of Yugoslavia and The Balkans, traveled the globe and interviewed police, victims, politicians, and members of organized crime syndicates to shed light on this confusing world. 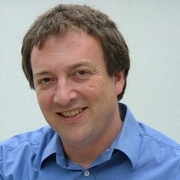 Misha Glenny is currently considered a "single author." If one or more works are by a distinct, homonymous authors, go ahead and split the author. Misha Glenny is composed of 3 names. You can examine and separate out names.